As of September 2016, we are delighted to now be the main distributor for the highly respected Trilo range in the South East and East Anglia. 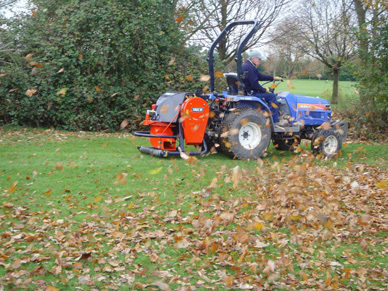 The product range is extensive and includes vacuum sweepers/collectors, scarifiers, blowers, turf harvesters and mowers….in fact everything needed for ground care maintenance and development. As with all our groundcare equipment and machinery, buying from Ernest Doe gives you the added reassurance of having a one stop shop for all your parts and servicing needs. Trilo and ATT products are available to professionals engaged in the care, maintenance and management of turf and grounds. 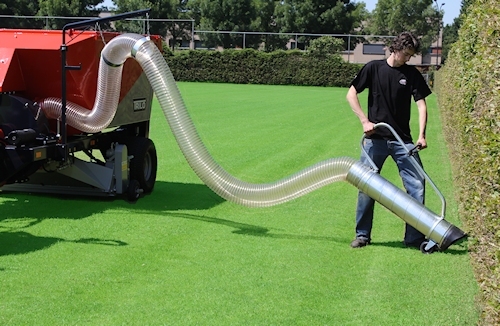 Trilo and ATT products are found in applications such as sport fields, pitch care, golf courses, lawn bowls, verge maintenance, turf laying, other turf industry machinery, gardens, cemeteries, riding schools/paddocks, agricultural, public works and municipal grounds, recreational areas, and even airports. 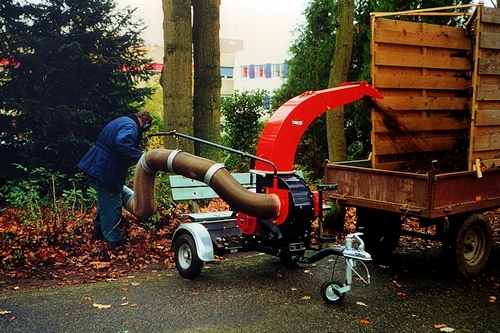 The Trilo BL400 is a leaf blower with a large capacity and a low operating noise level. The machine is suitable for tractors with a power take-off in excess of 25hp. The Trilo BL400 provides a great range of diversity when it comes to installation options. 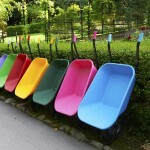 For example, it can be mounted on the front or rear of a tractor. In addition, it can also be mounted on to a range of mowing machines or tool carriers, both power take-off and hydraulically driven. The machine’s exhaust spout can be rotated 180 degrees to facilitate optimum manoeuvrability. The all new trailed Trilo S3 can be driven by a compact tractor, yet has a large 3 cubic metre capacity container. The 1.5 metre full floating brush head and low ground pressure allows the Trilo S3 to work under the heaviest of conditions where others may struggle. The heavy duty fan of the Trilo S3 has an inspection trap in the lower part of the housing enabling easy cleaning. The 5 metre easy to use wanderhose has a 200mm diameter and allows easy cleaning of confined or restricted areas such as bunkers, shrubberies or refuse bins. The high tip container allows tipping into a skip or trailer.